The Trump administration is promoting policies that are favorable for the health insurance industry and private doctors through a set of new, discreet changes to the annual Medicare handbook. 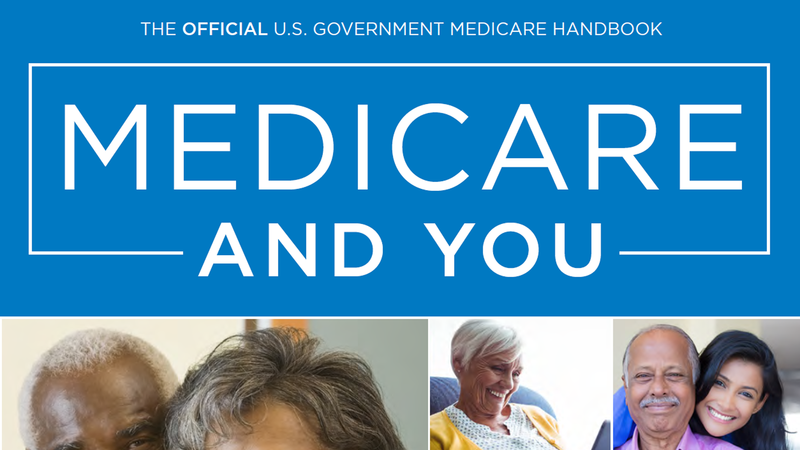 Why it matters: The handbook will be mailed to 43 million households this September; it is a primary source for people to learn about Medicare. Consumer advocates say the federal government is "distorting and mischaracterizing the facts in serious ways." What we're seeing: Axios obtained a draft of the 2019 Medicare & You handbook and compared it to this year's version. Page 6: When comparing traditional Medicare with Medicare Advantage, the program run by private health insurers, the new document eliminates a section on "quality of care" and substitutes "coverage and cost determinations." The section gives the impression that people who want to find out costs of care ahead of time are better off in Medicare Advantage plans. Page 7: Promotion of the Medicare Advantage open enrollment period, a provision built into the 21st Century Cures Act that gives people three months to test-drive a Medicare Advantage plan. Page 60: Medicare patients and doctors who decide not to accept Medicare can sign private contracts for services, but those patients could be on the hook for huge charges. The 2019 document adds this sentence about private contracting, a practice Tom Price supported, without acknowledging higher fees or surprise billing: "Private contracts give you and your provider the flexibility to set up your own payment terms that work best for you." Page 62: A new section describes how people in Medicare Advantage plans "have the right to request a preauthorization" for equipment or services, and frames prior authorizations (when the health insurer has to approve care will be covered) as a way to shop. What they're saying: Three Medicare consumer groups wrote to the federal government to say that describing prior authorizations as benefits "twists the facts beyond recognition." Those groups also criticized the administration for broadly suggesting Medicare Advantage is less expensive than traditional Medicare. A spokesperson for the Centers for Medicare & Medicaid Services said the agency continues "to modify and improve the content to help consumers make informed health care decisions" and uses feedback from groups "along with multiple rounds of consumer testing to inform the final product." CMS would not say who wrote the new language or whether adjustments would be made before the handbooks go out. Between the lines: Health insurers and doctors wouldn't mind these changes because they could make their plans and practices sound more appealing to Medicare enrollees — potentially boosting their income.